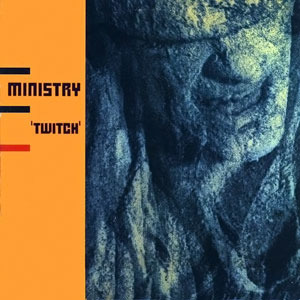 Twitch is the second studio album by industrial metal band Ministry, released in 1986. The album stepped away from the pop-oriented form of their previous album With Sympathy and moved toward a darker, more aggressive sound in the form of EBM. Released by Sire Records, Jourgensen was granted more artistic control over the production than under Arista/BMG. Twitch was re-released in 1990 with two additional tracks. Twitched, an unauthorized 2003 release by Radioactive Records, is a remastered version of Twitch, featuring the track listing that the band is said to have intended it to have before the intervention of the record company. It includes previously unreleased alternative versions of tracks from the album. "Over the Shoulder" was the only single from the album.